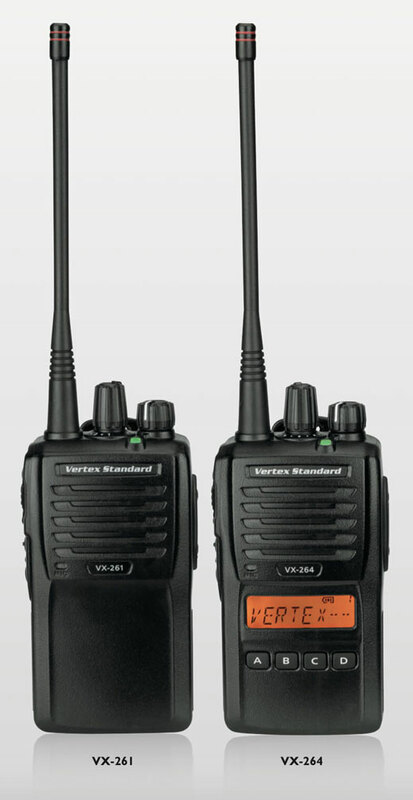 The Vertex VX264 UHF two-way radios are the most affordable full powered professional handhelds on the market. With 5 full watts of power and backed with a 3 year factory warranty, this two way radio is built to last. These portable radios are not only fun and handy, but they can also play an important role in your business two way radio communications. These two way radios have extensive features, ergonomic shape for comfortable use plus a durable, lightweight (10.2 ounces), compact design, you get just what it takes to enhance communication while increasing efficiency and productivity. This is the ideal two way radio for educational institutions, retail and hospitality businesses, service and manufacturing industries and many other demanding, professional applications, the Vertex VX-264 brings you a robust two-way radio solution. The VX-260 Series delivers the ideal combination of features and performance for efficiency, reliability and interoperability. Experience a new way of getting more for less with Vertex Standard. The VX-260 series boasts abundant signaling options such as MDC1200®, FleetSync®, DTMF, 2-tone and 5-tone capabilities, providing seamless integration into a mixed fleet. The Universal Battery System for Vertex Standard portable radios takes energy interoperability to a new level by utilizing a single charger base to support multiple radio series when used with designated UNI batteries. Eliminate equipment clutter and confusion by consolidating down to one battery and charging platform and increase your productivity. When you buy a Vertex Standard two way radio you can count on a quality product that will last. Vertex runs an accelerated life test on all radio models they produce so they know that after many years of wear and tear the radio will continue to perform when you need it most. This radio comes with the standard Vertex 3 Year Warranty giving you the peace of mind that your looking for when making a mission critical purchase. 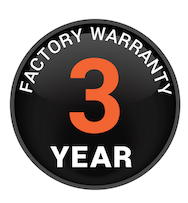 The Vertex warranty covers more than just the radio itself. The rechargeable battery that is included as part of this kit is also covered under a 1 year warranty. This warranty will replace the battery included in your kit if the battery capacity falls below 80% of the rated capacity or if the battery develops a leakage. The bottom line is your complete kit is backed by Vertex and you can rely that this product will perform for you in the moments that matter. I have bought many radios from two-way direct and this is by far the best one for the money. It is nice and compact and lightweight, fits nice in your hand and unnoticeable on your belt. I plan on ordering two more by the end of the month. A huge thanks to the amazing staff at Two Way Direct! This is the best radio out there at this low of price that I've found in terms of highest power, convenient display, most durable, best warranty, best battery, etc. If you are looking for a great radio loaded with features at the lowest price, this is your radio.